We have recently become holders of the Denver 5 x 5 card, which allows us access to all kinds of special events for families in Denver. So far, we highly recommend the Colorado Symphony Family Series, and the Denver Zoo Lights. 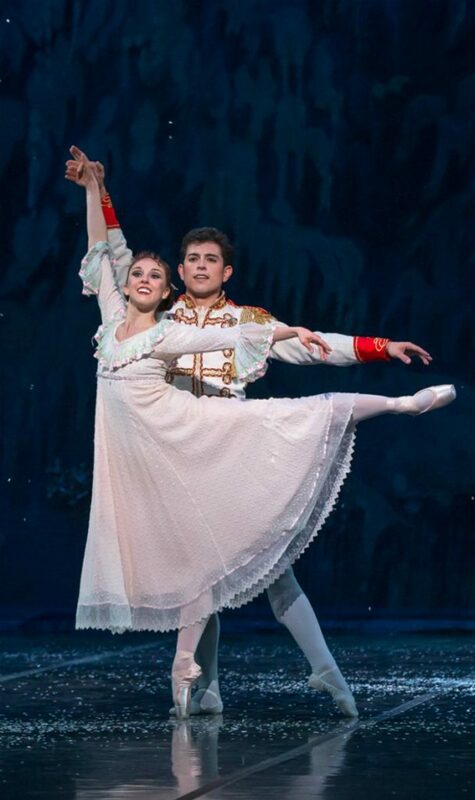 We recently got to attend The Nutcracker Ballet with the Colorado Ballet. Here is our review of the must-see show here in Denver! The Nutcracker is held at the Ellie Caulkins Opera House in the Denver Center for the Performing Arts complex. There isn’t a bad seat in the house- and because the set of the Nutcracker is so spectacular, it is easy to feel like you are part of the performance even if you sit farther from the stage. The facility has plenty of bathrooms on each floor, and super clean family bathrooms and changing stations for viewers with young children. There is a gift shop in the lobby of the opera house, and there are beautiful, one-of-a-kind Nutcracker and Christmas-themed items for sale. There is also a full bar in the lobby, and you can pre-order and pay for drinks for during intermission. No food or drinks are allowed in the theater, so keep that in mind as you determine whether or to to purchase anything. The Colorado Ballet performs their version of The Nutcracker to live music- which adds an amazing dimension to the performance. You can see the musicians in the pit, but it is in no way distracting. The set of the performance is stunning- it is multi layer, and the snow falling at the end of the first act is spectacular. Our 3 year old had a lot of questions about the performance, (what is happening? what does that mean? Why is he/she…?) and there were tiny synopses of each section that appeared on electronic screens on the seat backs in front of us. This was a super helpful way to answer kid questions without having to refer to the program. There is no food or drink allowed in the theater, and no photos of the dancers are allowed per union rules. The performance and intermission last one hour and 50 minutes- so plan accordingly as far as food and bathroom breaks for young ones. 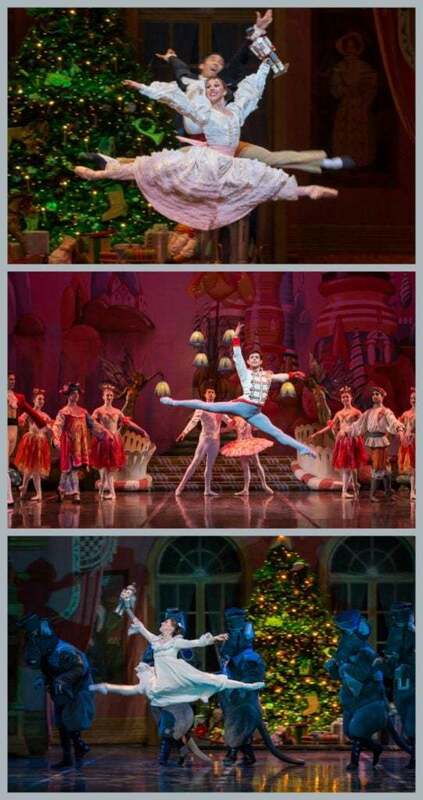 The Nutcracker as presented by the Colorado Ballet is an excellent way to spend the holiday season. The dancers are phenomenal, and the performance is captivating to young viewers. We highly recommend adding the experience to your family’s holiday traditions. Check here for this year’s complete schedule, (we are super interested to go to the Little Mermaid) and ticketing information for each of the performances.